OakWood, winner for kitchen renovation and named renovator of the year. Art House Developments, winner for custom home up to 3,000 sq. ft.
Larco Corporation & Christopher Simmonds Architect, winners for custom home 3,001-5,000 sq. ft.
Morley Hoppner & Hobin Architecture, winners for mid-rise building, 4-10 storeys. Amsted Design-Build, winner for bathroom renovation. 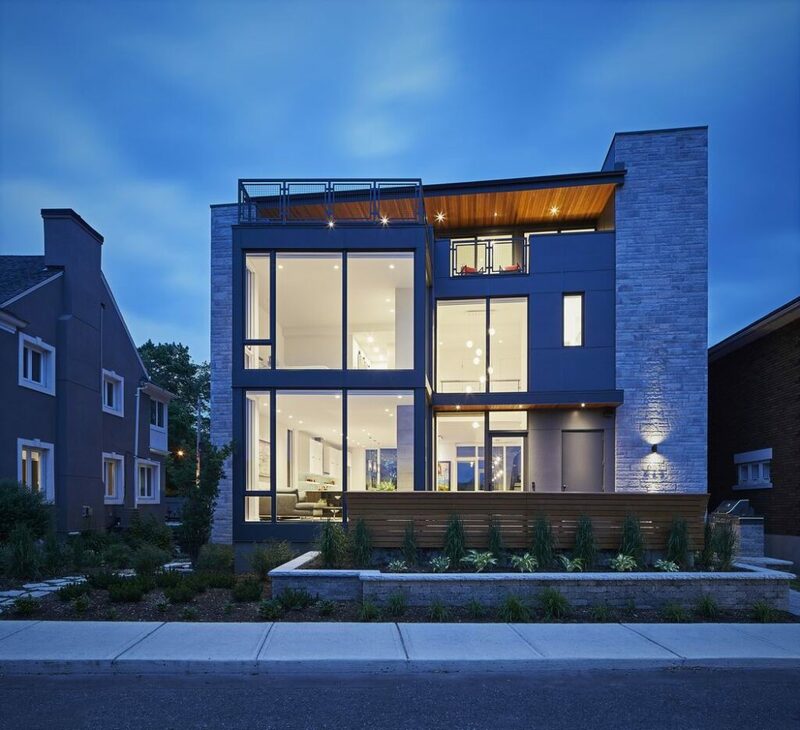 As the host city for this year’s provincial housing design awards, Ottawa made a good showing in the winner’s circle Tuesday night. Seven local companies won trophies in six categories in the Ontario Home Builders’ Association Awards of Distinction, which were given out at a gala dinner at the Shaw Centre. 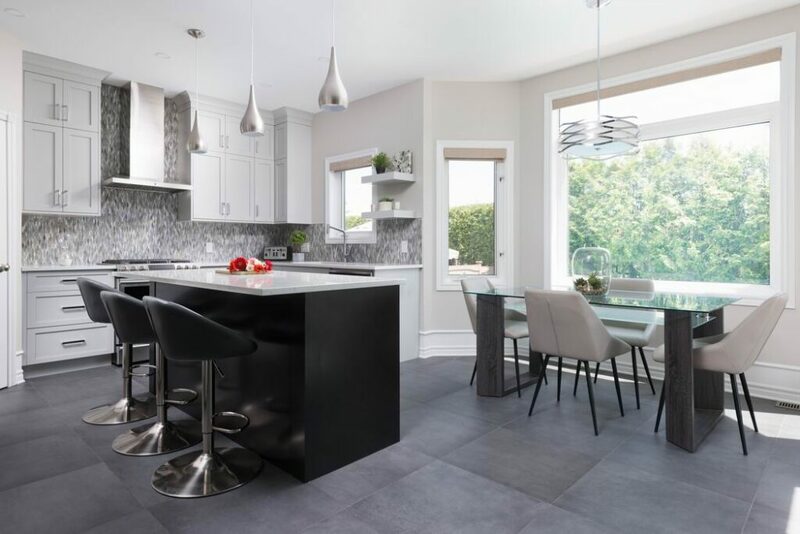 And the big winner of the evening was veteran renovator and custom home builder OakWood, which claimed the kitchen renovation category as well as being named the province’s renovator of the year. It’s the second time OakWood has won the prestigious renovator of the year award. 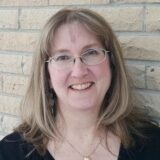 The first time was the year the award was introduced in 2014, coincidentally also at a gala in Ottawa (the awards gala is in a different location around the province each year). The renovator of the year category is one dominated by Ottawa companies, who have won every year except 2017. And all three of the finalists in the category this year were from Ottawa, guaranteeing a local win. The other finalists were Amsted Design-Build, a two-time winner of the award, and Lagois Design-Build-Renovate. But OakWood was not the only Ottawa winner of the evening. Six other local companies claimed trophies from among the 41 categories, beating out a record 511 entries. Art House Developments, custom home up to 3,000 sq. ft.
It’s the second year in a row Art House has claimed this award. 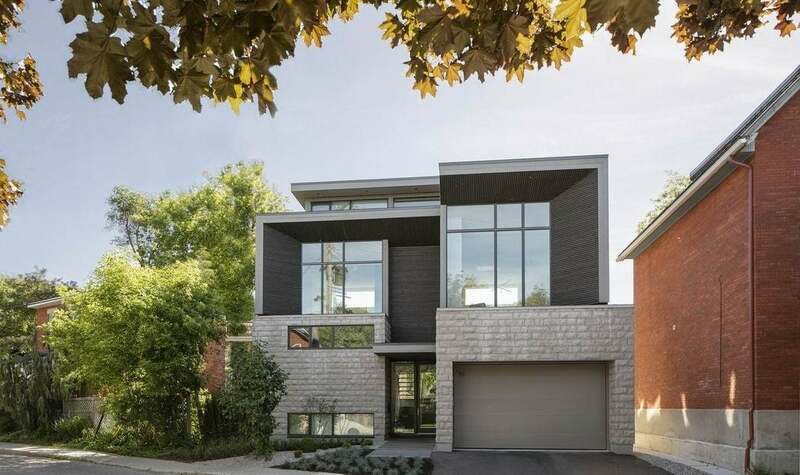 This year’s entry is a modern infill emphasizing articulated angles and featuring an unconventional layout thanks to its wide but shallow lot. 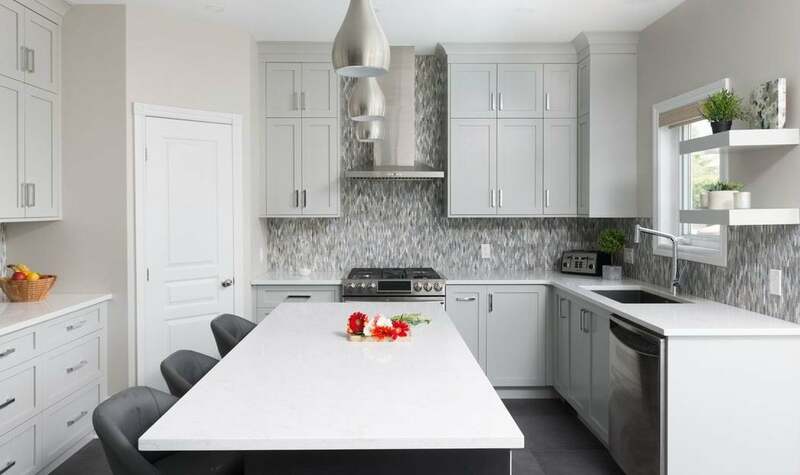 This home is also a finalist at the local Housing Design Awards next month and its kitchen, bathroom and powder room won at the Ottawa chapter National Kitchen and Bathroom Association awards earlier this year. Larco Corporation & Christopher Simmonds Architect, custom home 3,001-5,000 sq. ft. This project was a team effort that involved engaged homeowners keen to collaborate. The result is their dream home on the Rideau Canal, with the home’s orientation and design maximizing spectacular views of the water. “I only wish I was fortunate enough to enjoy this property as our home, and should the homeowners ever decide to sell, I will be first in line,” said Larco president Andrew Levitan. 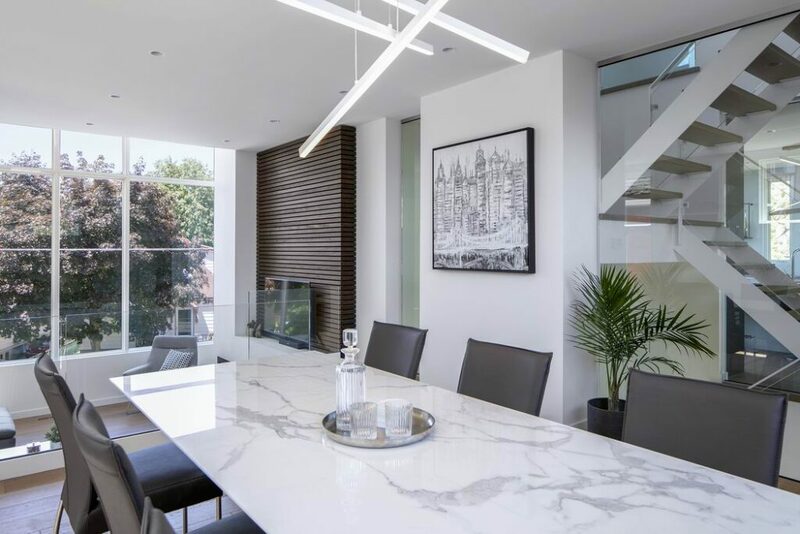 This condo project was already an award winner, capturing all the condo categories it was nominated in at the local Housing Design Awards last year. 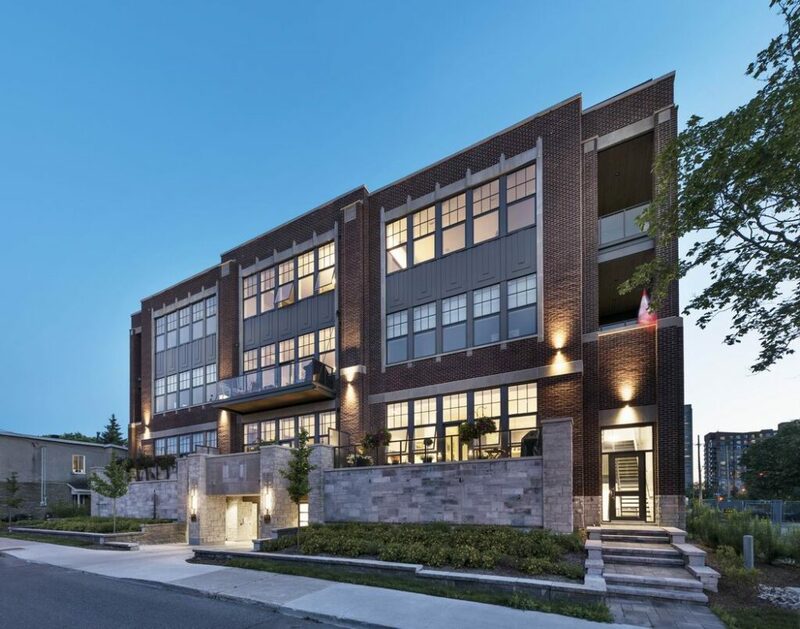 A thoughtful renovation of an old school had been named a finalist for two provincial awards, ultimately claiming the best mid-rise building. “This project is unique in that it preserves the legacy of the former school building as a key defining element in the fabric and history of the immediate neighbourhood,” Hobin Architecture spokesman Steve Clifford said when the finalists were announced. 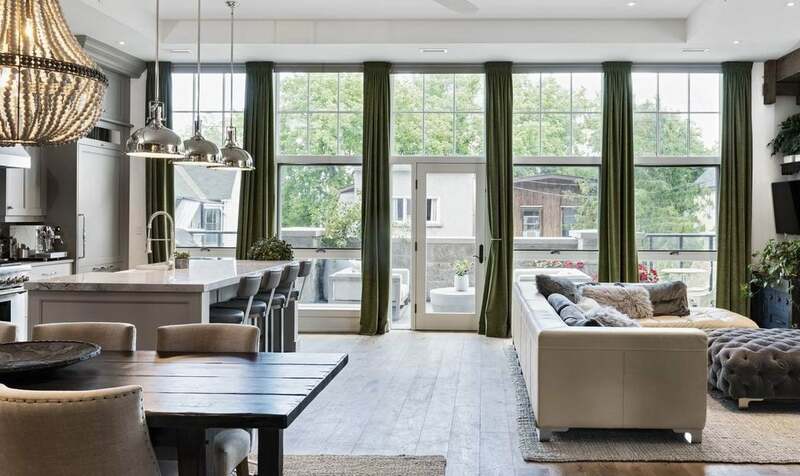 Built in the 1930s, the four-storey building in Hintonburg has had many uses over the years and the goal in renovating it was to maintain its connection to the street and the neighbourhood while creating an enticing place to live. 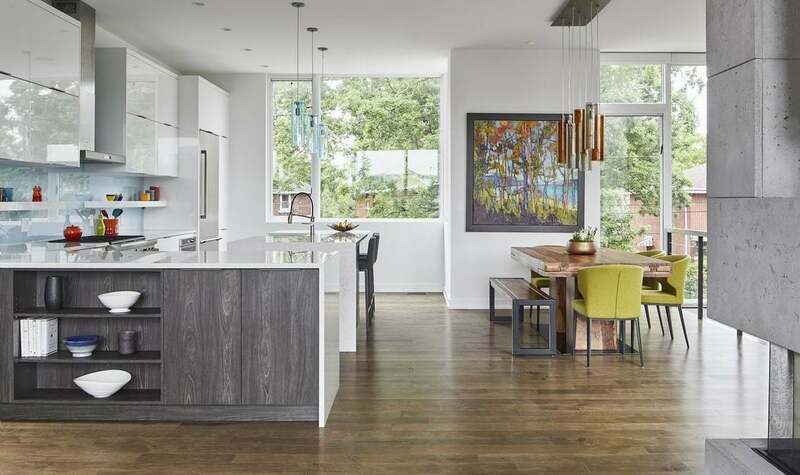 This home was nominated for both a home renovation category and kitchen renovation, claiming the award for its kitchen. While the home’s layout worked for the clients, the goal was to freshen the dated finishes and brighten the space. White cabinetry, anchored with a contrasting dark island, and soft complementing tones in timeless finishes creates a welcoming look. 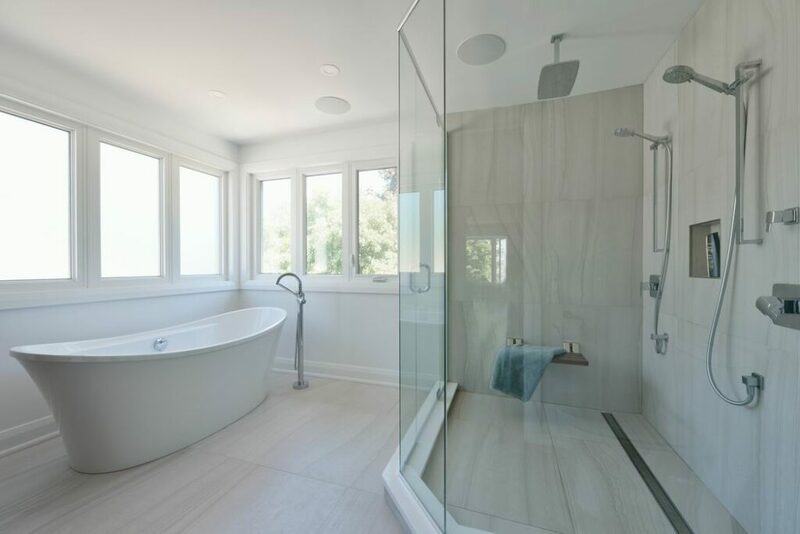 A project that included a new ensuite won the Bathroom Renovation category. 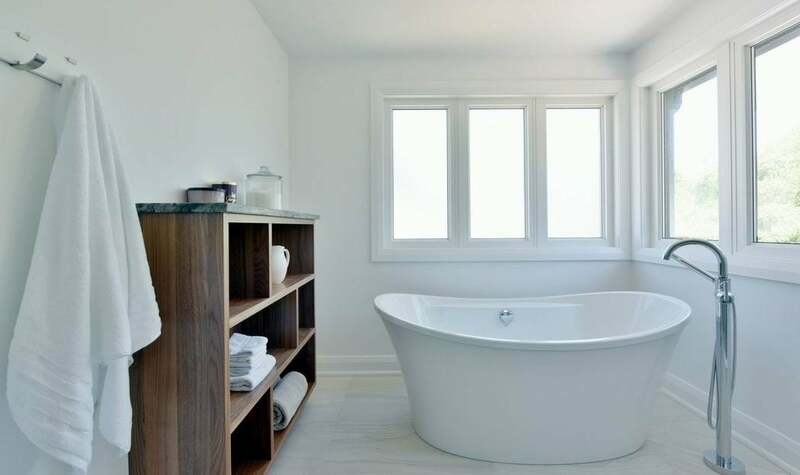 Soothing neutrals create a serene and inviting retreat, while functionality was improved by separating the dressing area with vanity from the wet areas and maximizing storage with lots of cabinetry (not shown). The Awards of Distinction recognizes excellence in building, design, professional renovation and sales and marketing. Entries were judged by a panel of industry professionals from across Canada. Who else was nominated from Ottawa?